Meet Abby and Eric! These two met through mutual friends in collage. Abby made it clear to Eric that they were just going to be friends, but Eric did not accept this! He went on pursuing Abby with his charming personality. Abby said it only took a few weeks to fall for him. After that, they spent about a year doing the whole long distance relationship thing before Eric decided to propose! After some convincing from Eric and Abby's mom, they talked her into visiting Eric in Florida where he is stationed. First, they visited an art gallery featuring Pre-K and Kindergartners art work (how romantic?!?!?) Then they went shopping, maybe to throw abby off a bit... After their fun filled day. it ended with a long walk on the beach watching the sunset. It was there that Eric got down on one knee and said "Abby will you marry me?!?! And, of course, she said yes!! Such a sweet story! 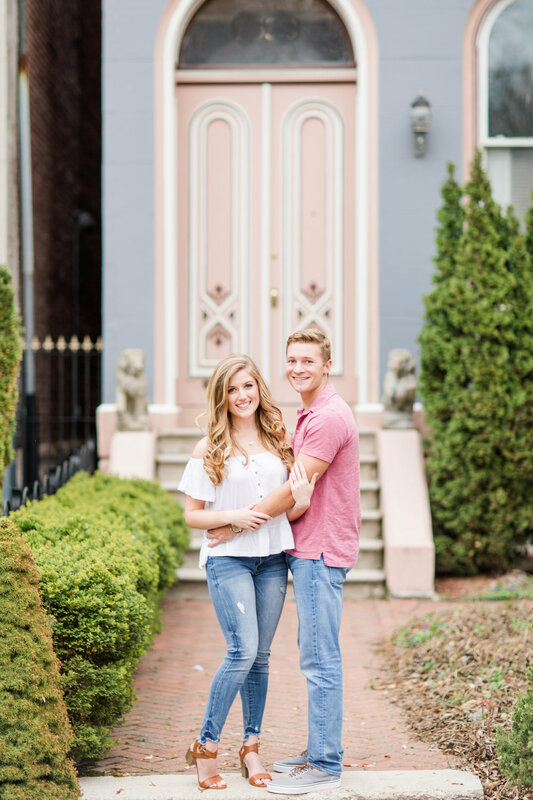 This engagement session was an absolute blast! Abby and Eric, it was such a pleasure meeting you both! Not only are you both photogenic, but you are also so much fun to be around! Abby, you are beautiful and Eric, you looked great in that pink shirt! :) You made our jobs easy peasy! Seth and I cannot wait to film & photograph your wedding day! It's going to be such a dream!